Eastward, from Pixpil Games and Chucklefish Games, is an action-adventure set in a post apocalyptic world. You take on the role of John, a digger who discovers a mysterious girl in an underground facility. John must guide the girl through the wasteland, interacting with colorful and unusual NPC's, solving puzzles, and doing battle with dangerous creatures and rampaging machinations along the way. 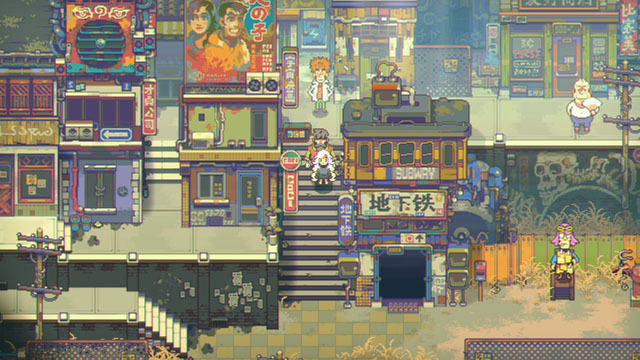 The game is styled after 90's anime and features gorgeously detailed environments as imagined by pixel artist Hong Moran. The game is coming to PC and Mac but does not have an announced release date.